Man shot near 24th Street and Roosevelt Sunday night. 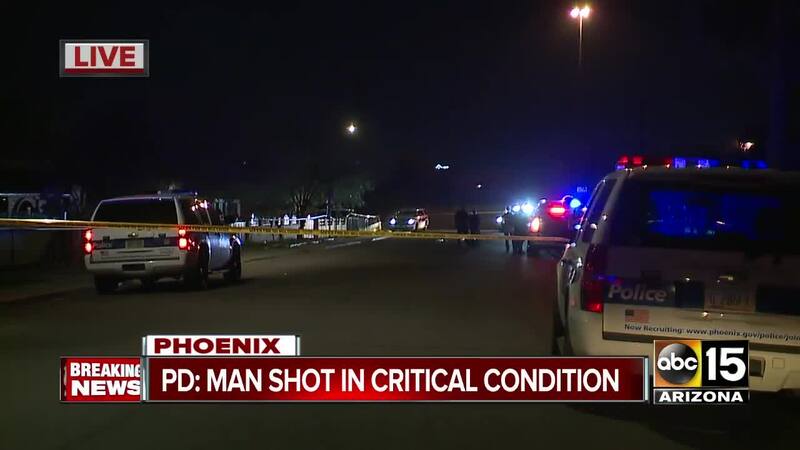 PHOENIX, AZ — Phoenix police say a man shot Sunday night in Phoenix has died and no suspects have been identified. Hector Olivas, 37, was found shot near 24th and Roosevelt streets around 9 p.m. Witnesses told officers the man was found in the middle of the roadway. Olivas was taken to the hospital where he died from his injuries. The suspect is outstanding at this time. Anyone with information is asked to call Phoenix Police or Silent Witness at 480-WITNESS.